Made in Sheffield England The Genuine 3pc British Army Knife, Includes Sheepsfoot Blade (2.5 Inches) Can Opener Knife (2 Inches) & Marlin Spike (3 Inches) Bonus Flathead Screwdriver Tool. 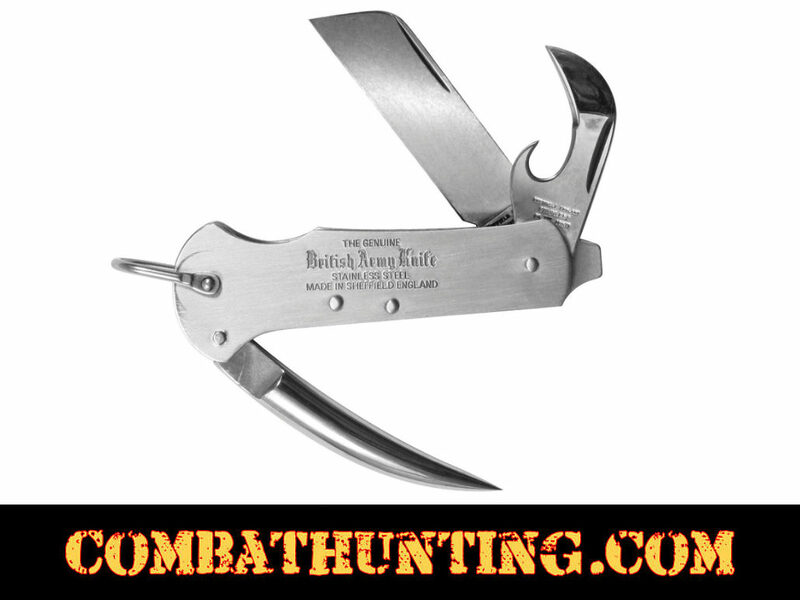 The Genuine British Army Knife Is Made from 100% Stainless Steel. Closed: length 4" & width 2"